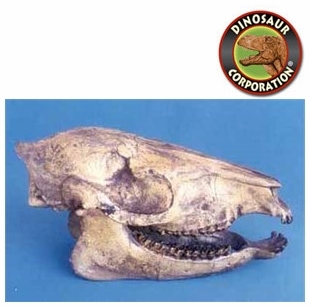 Mesohippus Skull. Mesohippus bairdii. Fossil replica. * Location: White River Formation, Nebraska. Mesohippus is an extinct genus of early horse. It lived some 30 to 40 million years ago from the Middle Eocene to the Early Oligocene.